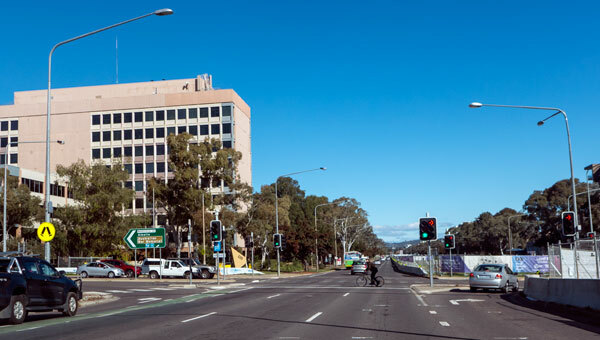 The drive down Northbourne Ave has recently revealed the truth about architecture in Canberra. The removal of all those beautiful tall trees down the centre of Northbourne was contentious. The total removal in a very short space of time has revealed something that I doubt anyone could have predicted. 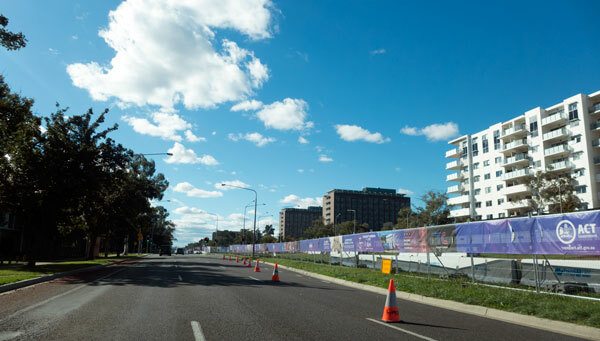 Now you can cruise along this main avenue and enjoy a new way of seeing the main entrance to Australia’s capital city. On a fine day, with the sky being that intense blue, you are met with a wonderful vista of open sky. This vista is bound by the trees along the footpaths and behind them the vast array of architectural gems – or at least they should be architectural gems. What hits you now is the lack of diversity in what the architecture professions have delivered to the national capital. With few exceptions, the entrance to this city is a line of bland boxes of steel, glass and concrete. I would designate very few of the buildings as being examples of architecture worthy to stand at the entrance to any capital city. The buildings are mostly ordinary boxes straight out of an international flat pack catalogue. You could be anywhere. The first piece of evidence of how seriously this city has not been about architecture is at the Dickson intersection (Northbourne-Antill/Mouat). Here we are presented with those grand buildings known as City Gate. We really hope that these towers do not indicate where we are to go with the new buildings along Northbourne into the city centre. They do not represent good architecture. Chief Minister, I am aware that you recently urged those designing the new buildings (and there are to be many) to do so as if they were out to win awards. I admire this good sentiment except if you know as much about these awards as I do. Such awards are not a guarantee that quality will be delivered. And I have to stop there – as I have many stories about awards and that has to be a tale for another time. 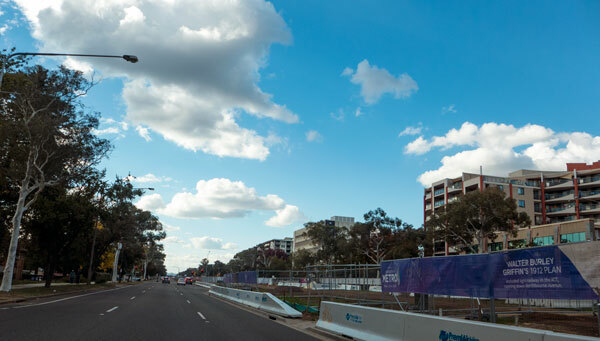 Having seen the avenue without trees and having admired it for its openness, we have been presented with a fabulous design challenge than could not have been predicted – before the rushed total removal of the former tall gums. I am now not so sure that we need to replace the previous tall gums with new trees to the same height. Let’s keep that open sky and below it have a grand mix of greenery and colour alongside the new tram tracks. 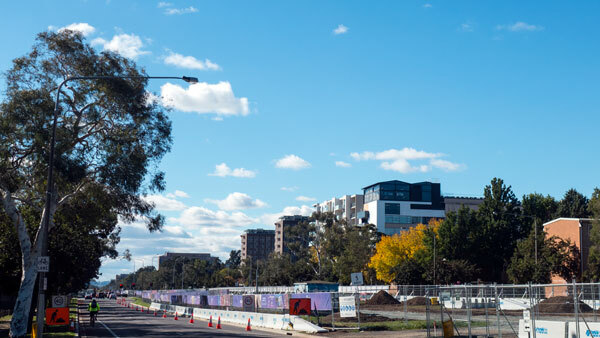 Lower trees, a mix of shrubs and the inclusion of some open space pocket parks (with appropriate public art) dotted along this new entrance to Canberra could be something attractive. This green centre, which would become a grand linear park, should be enhanced with new spectacular architectural and landscape designed solutions along both sides of the avenue. The new buildings should be designed very specifically for the location. That is – this is the bush capital – read what is displayed on those new number plates. Each new development – each new building – should in itself be a grand architectural achievement – so that the journey along the avenue becomes a trip through early 21st Century aesthetics in architecture and landscape architecture. 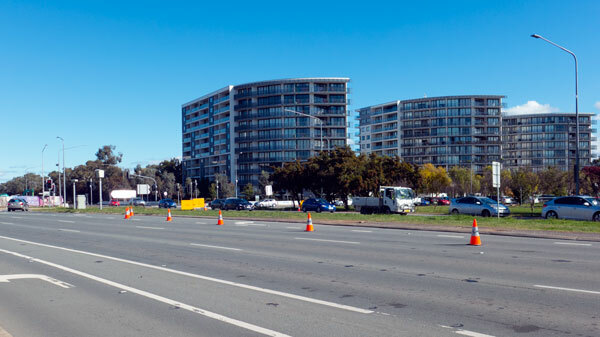 I seriously doubt whether the new proposed Northbourne authority will have the design authority to bring this about. I suspect Chief Minister that you are about to anoint a committee of the usual suspects. Nooooo! Please don’t. This very special aesthetic challenge for the new Northbourne is going to require a very particular set of non-aligned visionaries; please reject all the usual lobbyists and institutional rent-seekers. This is not a job for yet another bureaucratic committee. Look down Northbourne to see what they have done so far. Canberra desperately needs new thinking – new design visions. We need a small group of very special people with the power to insist that developers build something that will be admired well into the next century and then be defended by the 22nd century heritage lobby. We need really good architecture – and innovative landscapes. Keep that sky – keep the openness – but remember it is the nation’s capital – so make the new buildings and the new green spaces very – very special. Please Chief Minister, look beyond your usual advisors – all those usual suspect who are probably being listed for this new authority. 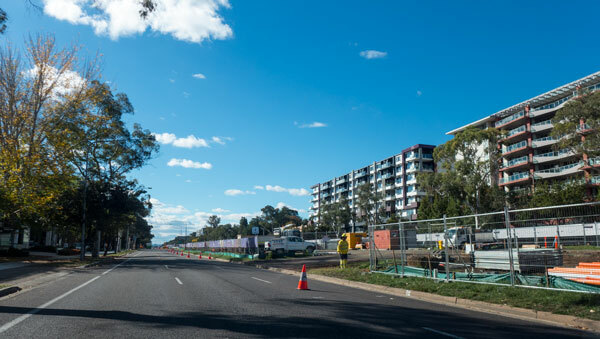 Northbourne Avenue could be great – or else it could be ……..